What does "Victorian" mean to you? "Painted Lady" houses? Full skirted dresses and petticoats over a menacing corset? A society bursting with rebellion under a controlled, conservative and emotionless front? Charles Dickens' London? Here's my history lesson on Victoria's before and after--Her ancestors and descendants. Don't run in fear, this may just help you on Jeopardy someday. 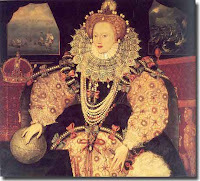 Even for a colonist on this side of the pond, it would be difficult to have gained adulthood without hearing of Henry the Eighth, Queen Elizabeth (yes, there have been two of them) and Queen Victoria. Perhaps the term "the Regency" leaves you confused as well? Have a seat and I'll help you out. The House of Wessex 871-1066. What? You never heard of King Egbert? House of Normandy 1066-1216, The Plantagenets 1216-1485. (Have you at least heard of them?) Nice power play coming up during the switch to The Tudors 1485-1603. 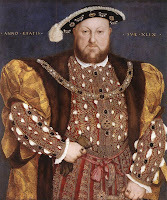 Go ahead and connect The Tudors to the big guy with the six wives! Despite all his bravado and big appetite (power, women and rich food included) Henry the Eighth's throne went to his sometimes legitimate, sometimes not daughter Elizabeth 1. What happened next is enough for another post, so let’s just say . . . The Stuarts 1603-1714. And finally the House of Hanover. The Hanoverians were very European, basically Austro-German. And like the two houses before them, changes had a lot to do with religion. 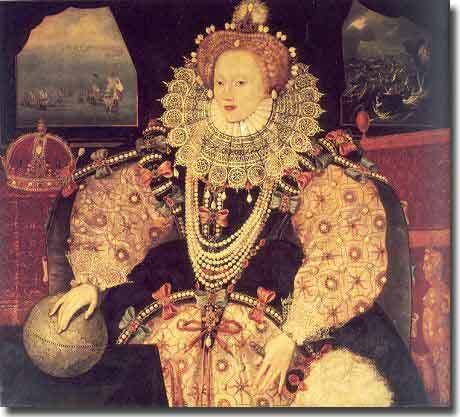 Britain's Act of Settlement of 1701 decreed no Roman Catholic could be on the throne. Stuarts Out, Hanovers In. Here is where Victoria’s story begins . . .
By 1781 George is humiliated by the loss. A surrender at Yorktown and all that . . . By 1788 he’s considered off his royal rocker. Insane. His son--you can see this one coming --George IV is made Regent. (Regent means “I’m not really the king but I’m standing in for the king because he’s unable to be king, so let the party begin!”) The Regency Period in England is officially those years 1811-1820 but can be stretched a bit to describe the social structures, fashion and flair of the Beau Brummel and Jane Austen years. Upon George III’s death, his son goes from Regent to King: George IV. This George was a wild dude, having several mistresses and marrying a Catholic, drinking heavily, and he suffered the rich man’s disease of gout. Soon his health and mind were in decline. He had no surviving legitimate children and his older brother Frederick had died, so on George IV’s death the throne went to his brother William IV at 64 years of age. Next in line? Their niece Victoria. 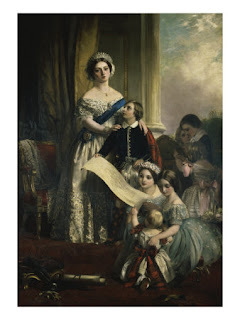 18 year old Victoria became queen in 1837. 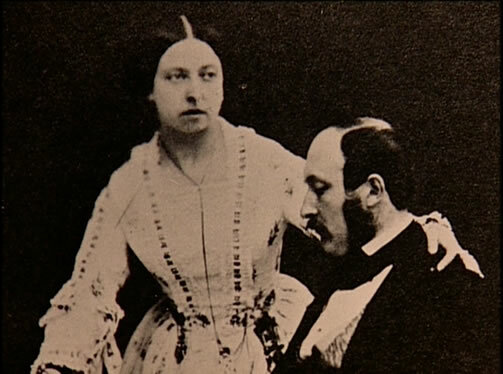 Victoria married her European cousin Albert four years later. Check out their love story from Lisa's post yesterday! They had nine children. Their second was Edward, heir to the throne. Victoria and Albert’s children all married into the other Royal families of Europe, hence her nickname The Grandmother of Europe. This alliance by family was at its peak during her reign and by the time of her death in 1901, the continent had enjoyed a long period of peace. This family togetherness did not last long. Without ‘the grandmother,’ hostilities soon escalated into WWI. Among Victoria’s thirty some grandchildren were Kaiser Wilhelm of Germany and the beautiful Alexandra who married Czar Nicholas of Russia. Where’s the link to the present Queen? Edward VII was King for less than a year before he abdicated to marry divorced American Wallis Simpson, giving his brother the title of King George VI. George VI married Elizabeth Bowes-Lyon. Together they braved the bombings of London during WWII. The much-loved Mrs. George VI came to be known as the Queen Mum, when their daughter ascended to the throne as the current Queen Elizabeth II. As you may know, she has four children: Charles, Anne, Andrew and Edward. Funny thing about royal families. If an older son dies, the crown does not necessarily go to his brother, but instead his son is next in line. This is why Prince William, that little cutie, would be king rather than his Uncle Andrew. Well, after Charles anyway, and gossip says the title may skip Charles and go to William because of that little Diana/Camilla thing. Queen Victoria reigned for 63 years and holds the title of longest reigning English Monarch. Queen Elizabeth ll (the great, great granddaughter of Queen Victoria) has ruled for about 58 years. If you're still hanging in with me, I imagine it's because you like history, so please tell me what period in history you're most interested in. Was there any event or book that encouraged this? Do you enjoy historical fiction? Any favorites? 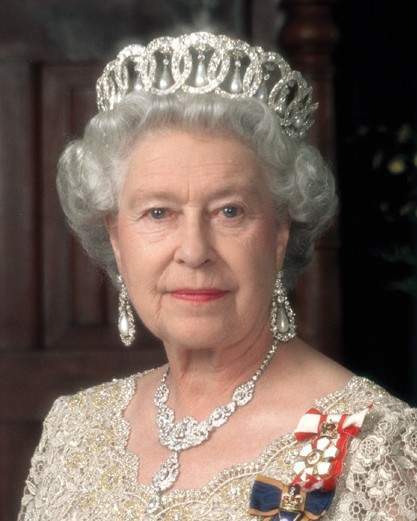 Do you ever wonder how many purses Queen Elizabeth has? Anyone else hungry for a scone? Do you know how many purses Queen Elizabeth has, or are you just taunting us, Deb? I did here that her clothes for different functions are picked out like a year in advance and everything scheduled, accessories, hair, etc. Of course, I love historical fiction! But I'm not sure if I have a favorite time period I'm pretty scattered and I have a Regency, an American Colonial, A 1920's and now a WWI. One of these days I'll get them all in there! Thanks, for the history lesson, you're a great teacher. I'll just leave my apple on your desk, shall I? The British people are probably better off not knowing either. I can't pick a favorite historical period but I'm pretty stuck in the 19th and 19th centuries right now. I've always loved history of the royal families. When I was young, I read all the Jean Plaidy novels about them that I could find. And a few years ago I read a fascinating novel about Henry the VIII's first wife, the one he didn't kill off, but I can't find it now to tell you the name! It was an old book I found in a used bookstore. D'Ann, I have all those Jean Plaidy books too, mostly dealing with the Plantagenets, don't they? I bet you are thinking of The Constant Princess by Philippa Gregory. If anyone likes historicals, I strongly suggest her books set during the Tudor period. The Constant Princess is the story of Catherine of Aragon, who was engaged to Henry's older brother who was to become king before he subsequently died young. Catherine was the daughter of Queen Isabella and King Ferdinand of Spain. It's quite a story. Oooh, fun post, Deb! You know I love this stuff. Speaking of Plantagenets, I enjoy a mystery series about a pedlar/sleuth named Roger Chapman set in that period. The author is Kate Sedley. The era still confounds me, however. European royalty seems to be so tangled as far as ancestry goes. I could be remembering incorrectly, but I recall something a few years ago about Prince Phillip (ER's husband) allowing his DNA to be compared to a woman who claimed to be Anastasia of Russia. If she was indeed Anastasia, they'd both be related to Victoria. Sadly, this woman was not truly the Czar's daughter. But I remember thinking, wow, Prince Phillip too? Who in European royalty is NOT related to Victoria? Hmm. My guess on the purses: not as many as we might think, since they're all such sensible bags and it seems like she carries a black one a lot (that looks to me like a doctor bag). But I'd say she still owns a lot, and waaaay more than me. I'm not working today by the way, so I'm clear to play all day. Hey Susie! thanks for the recommend on the series. I'm always looking for something like that- Historical Mysteries are my fave. I love from King Richard the Lionhearted through the Tutors. My historicals are set in the time of Edward II and III. Why, oh why, were my high school and college history courses not even half as interesting as these posts? Deb, this was delicious! Better than a scone, IMHO. History made entertaining, informative, and relevant! Does it get any better than that? I used to read historicals almost exclusively, particularly the Scottish Highlanders and their wild and woolly bunch of clans and kilts and haggis, and the settling of the American West. Favorite series that comes to mind: Kristen Heitzmann's Diamond of the Rockies series. According to my family and friends, I may be in the running for a purse competition with the queen. I agree with Niki, why weren't our high school and college history courses this interesting? Really interesting stuff, makes me realize how much I don't know. I love books that can take me places, and it seems that the details of period settings are just so much more delicious! The clothing, tapestries, bedding so intricate and yet so much of the rest of their world was harsh and cold without 'modern conveniences'. I look forward to reading your medieval soon. Niki - I know I didn't love history half as much while I was being tested on it! So you're a purse girl, huh? You probably have more money in your purse than the queen. I hear she doesn't carry cash. Maybe an Iphone, facial tissues and a lipstick. Maybe she listens to audio books? What does she need money for anyway,right? Hi Jillian Kent! Did you ever find your black flip-flop? you crazy authors . . . Who knew Christian writers conferences got so wild? Spilled drinks, lost clothes. Okay, so it was ice tea. how about 'lack of sleep!' Certainly that applies. Hey, I needed to write this all down myself to get the facts straight. But now I'm wondering . . . when they say Georgian Architecture, exactly which of the six Georges are they talking about? All of 'em, Deb. Georgian period is basically all of the 1700's and technically up to 1811. There are overlaps of course and that is a bit of a simplification. Regency for example is sometimes cited as being 1800 to 1837 (when Victoria ascende to the throne.) But reallyit can be tough to define. I know I got my knuckles slapped once for not using someone's version of the Regency years, Lisa, so I just mumble over those dates. thanks for the info on Georgian. I know it when I see it!